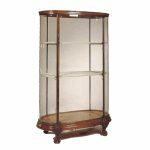 Circa 1909, Edwardian silver, serpentine fronted rectangular ink stand. 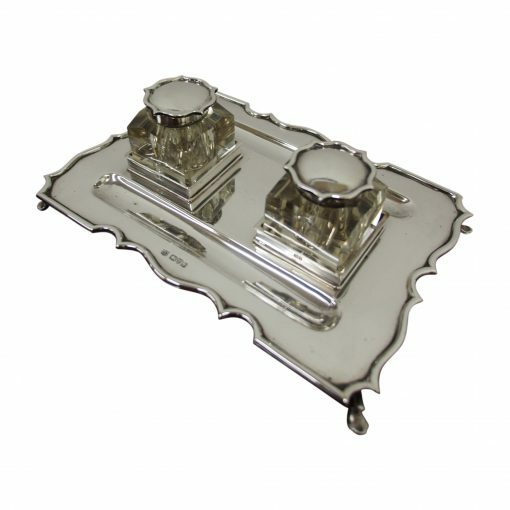 This piece was made in Chester and has two original silver capped crystal glass inkwells. Made in Chester, 1909.